How to draw a bull - hero of the Spanish bullfighting? the Bull – amazingly strong and mighty animal. Since ancient times, people worshiped the bull, deifying him. For example, in India cows and bulls and are currently sacred and the ancient Slavs, the bull was a symbol of power and wealth. And what grace, strength they show on bullfighting! If you touched the world of Spanish bullfighting, you may want to learn how to draw a bull. Before you begin to create a picture of a bull, it is necessary to determine its location on the paper. 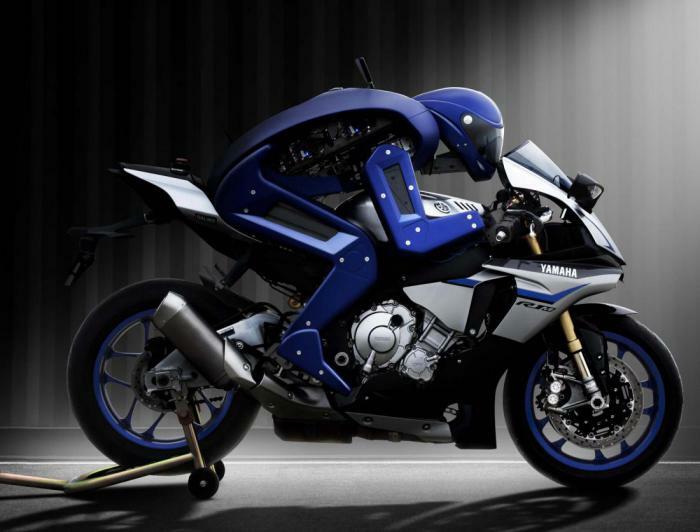 This mighty beast must be in the center, although if you have chosen a certain plot and some characters – will need to pre-select seats for each of them. 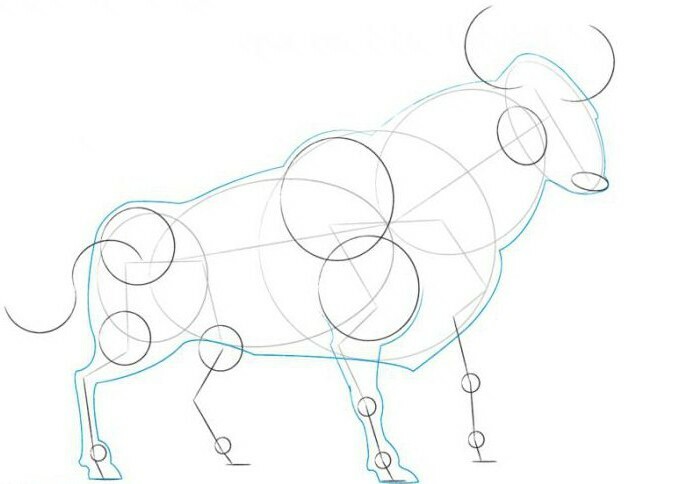 To begin creating a drawing of a bull will need to mark the main parts of shapes using straight lines. This place and the size of the head, neck, torso, and also where the legs begin. 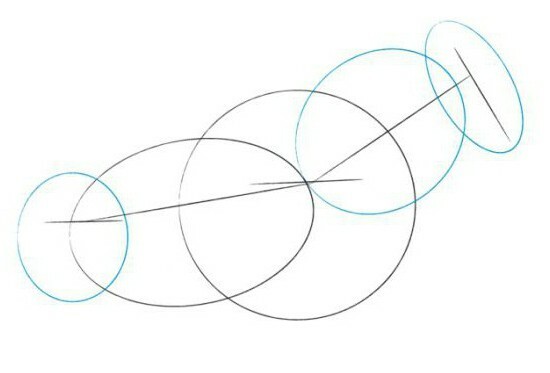 In accordance with the marking highlight its main parts: ovals – the head, torso and the neck of the animal; a large circle draw to mark the location of a powerful chest. Another slightly flattened circle will denote the place the back of the bull. How to draw a bull, so no one doubted that it was he? Of course, the horns. They can be curved and long, and there are also very small. In any case, this formidable weapon, which gives the bull a fierce and dangerous look. Draw the basis for future bullish pride – two semicircles at the top of the head. Also add the half circle for the tail. Broken lines denote the four legs of the animal. The front legs are slightly longer than the back. Circles of different diameters make the location of the shoulder blades and front legs, the coccyx and the widest part of the hips of the bull. Small ovals outline the nose and cheekbones. the Second semicircle will continue to tail, and small circles note locations where the bones in the legs – the knee and the hoof area. Outline the General contour of the animal's body powerful. Separate strokes continue the line of the front leg to the scapula. Encircling the torso, slightly moving away from the simplified lines Kruglaya smooth motion curves between circles and ovals. 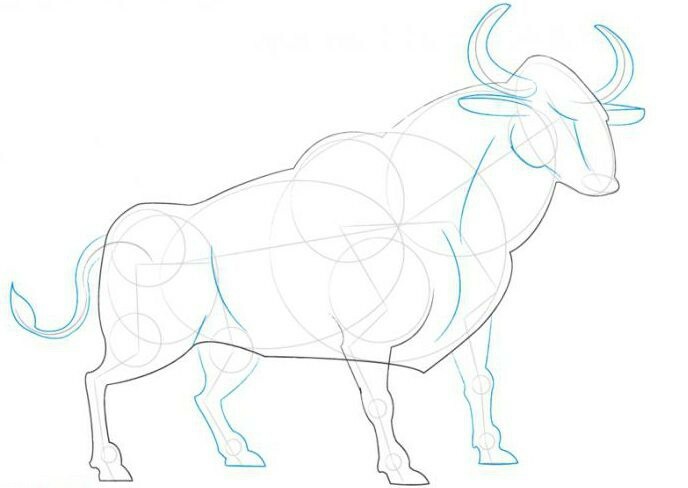 If you are still interested in how to draw a bull with a pencil, then move on to the final stage of design work. 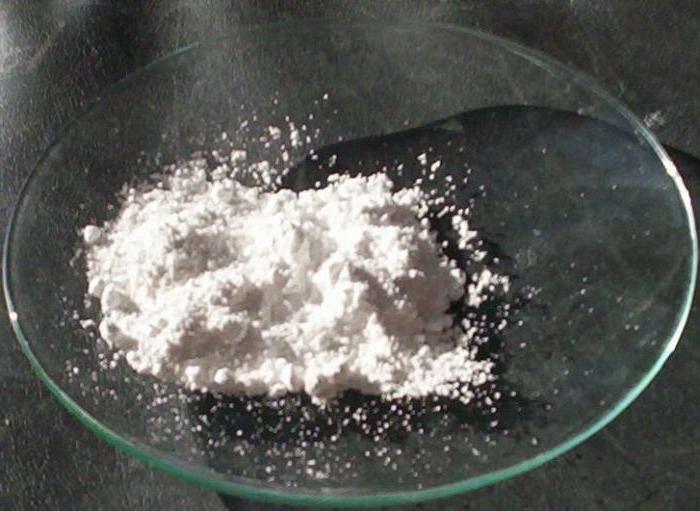 From this stage depends on the impression of the work done, because at the final stage the final is the picture. 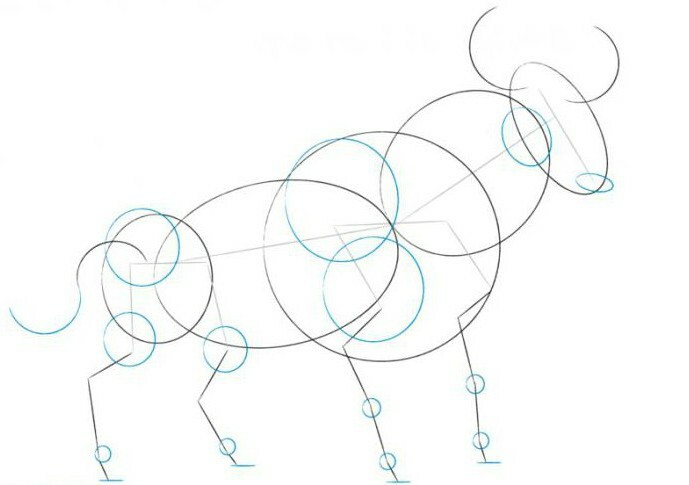 How to draw a bull? Outline smooth lines of the horns, the tail and the missing feet of the majestic animal. Locate on the muzzle eyes and ears. Hard, confident lines to define the chest, flanks and withers of the animal. On the tail don't forget to draw a small tuft of wool. Erase auxiliary lines, draw angry look, with bold lines outline the basic contours of the body and, of course, don't forget about nose ring animal. Bull ready for a bullfight! 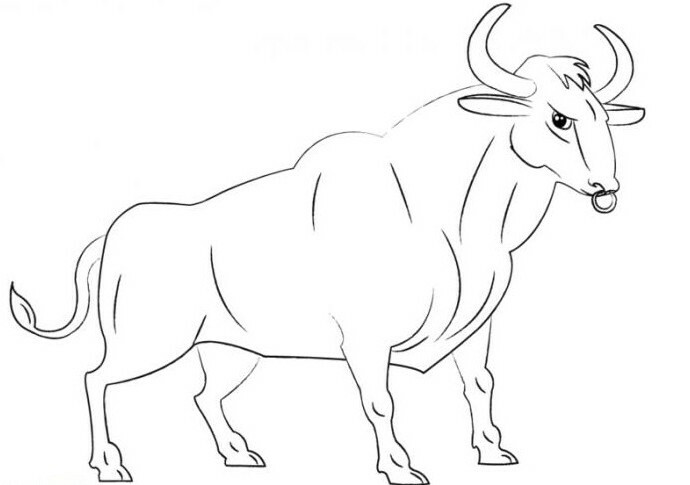 Now you know how to draw a bull – a powerful and formidable animal, which is famous for its ferociousness and strength.